Can prediabetes be treated? Will prediabetes become diabetes? Prediabetes treatment is life-saving. 86 million Americans have Prediabetes and that number is growing. 90% of them don’t know their body is being damaged. If you or someone you love has prediabetes, questions and regrets keep you awake. The ads on TV all point to medication, but that’s last on your list of options. Before you spend another minute feeling disappointed with your health insurance or habits…take a deep breath…would you like to see how other smart women find their blood sugar solution? Rachel* is a favorite client of mine. She’s a detail-oriented person who likes to get things done. Her frustration with her doctor’s office was extreme when we first met. They showed little empathy about her blood sugar imbalance and rushed off to the next patient. Rachel is a successful businesswoman and ALWAYS provides great customer support when she’s on the job! Why can’t healthcare be like that?! Yes, Rachel. I’m here to help you and your family solve blood sugar imbalance and avoid type 2 diabetes. You’re not ready to sit with strangers and confess a love of junk food. You’re not into feeling shame about your body (finally!) or standing in line to fill an expensive prescription for a drug with shady side-effects. I’m glad to tell you — all of that can be avoided for now. You can begin at home to recreate your health. This prediabetes treatment program is ideal for women who want some private and compassionate support first, and a sustainable plan for moving toward good health second. My mission is to offer the expert help you need and the respect you deserve. Certainly, more respect than you likely felt at the doctor’s office, when you felt rushed out the door. This innovative prediabetes treatment program happens in the privacy of home–no extra trips to the doctor required! Instead of searching for health answers online after dark, I welcome you as my VIP client. When women learn about their Prediabetes, they can avoid Type 2 Diabetes. That makes them health heroes. I wish all of my relatives with diabetes had a personalized solution before they were told insulin is the only option. They wanted to avoid developing type 2 diabetes. I’m 100% certain! I feel sad every day that I wasn’t able to ask them about their situation before it was too late. I’m not saying I would have waved a magic wand! I’m saying I could have supported them with compassion in time to help them turn back their own clock. To understand that their pancreas and beta cells were Yelling for Attention! To really listen and find out why their self-care and doctoring situation wasn’t enough to help them flip the switch to better health. I think they felt stuck. And more than a tad confused. How about turning back the clock on your prediabetes? You can get empowering support based on rock-solid science and sustainable habits. That’s how healthcare should be–real solutions from a compassionate expert–in the comfort of your own home. Because home is where you can take the day-to-day steps to improve your health. Your chances for success are promising. Maybe you’ve tried other things in the past, but lost interest or failed to see results. The truth is, Solution Starter could be a real game-changer for you. Watch my 1-minute video and receive your Prediabetes Workbook Preview today! After you click on the link above for your Risk Assessment test, watch the following video and learn more about Your Solution! 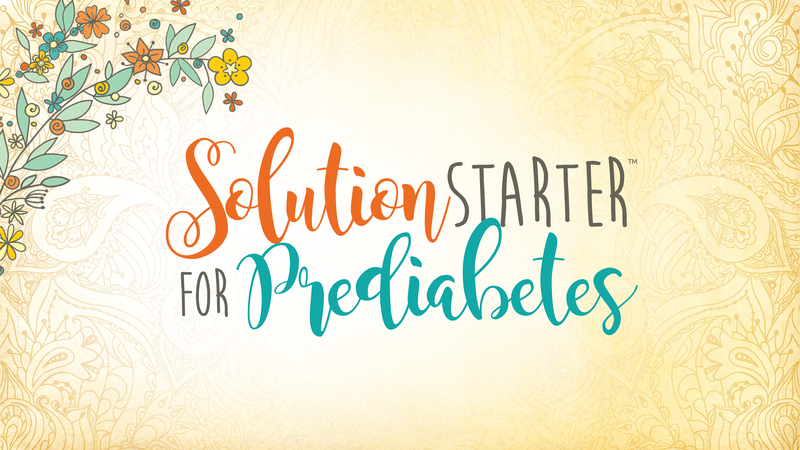 If you’re in the “Now What?” phase of learning that you or a loved one has Prediabetes, today is the perfect day to learn what to do next…What to do Now!